Handling a divorce? Appraisers of America, LLC. has the experience for these matters. Divorce settlements involve many decisions, including who gets the house. There are generally two choices when it comes to the house - it can be put on the market and the proceeds split, or one party can "buy out" the other. In either case, one or both parties should order an appraisal of the shared real estate. An appraisal for divorce purposes must have a well-supported, professional appraisal document that is defensible in court. When you order an appraisal from Appraisers of America, LLC., you are assured the best in service with courtesy and the highest quality appraisal. 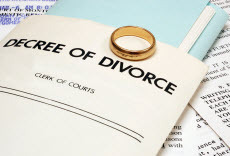 We also know how to provide for the sensitive needs of a divorce situation. Appraisers of America, LLC. is at your service whenever you need an appraisal dealing with a divorce or other division of assets. Florida attorneys and accountants depend on our values when ascertaining real property values for estates, divorces, or other disputes requiring a value opinion. We have an abundance of expertise dealing with all the parties involved and can readily handle your needs. We assemble appraisal reports for courts or various agencies that meet or exceed their requirements. As a legal professional working with a divorce, your case's material facts customarily require an appraisal to ascertain market value for the residential real estate involved. A lot of the time the divorce date differs from the date you ordered the appraisal. We're comfortable with the procedures and requirements fundamental to develop a retrospective appraisal with an effective date and Market Value estimate corresponding to the date of divorce. We handle a reasonable number of divorce appraisals (unfortunately) and we understand that they need to be handled with the utmost care. The Uniform Standards of Professional Appraisal Practice (USPAP) contains an ethics provision which compels us to keep the highest degree of confidentiality, guaranteeing you the utmost discretion.